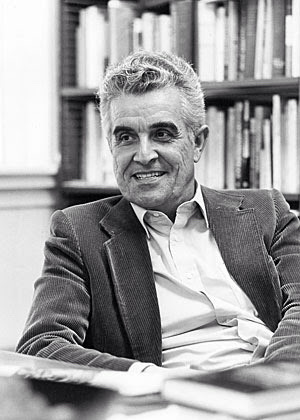 René Girard is a brilliant French philosopher who developed the idea of mimetic desire. Basically, we borrow our desires from others. A desire for a certain object is created by the desire of another person for the same object. Therefore, we don't have a direct relationship with the object but a triangle: subject, object and mediator. In a twisted way, it is the model or mediator who is at the end sought (Deceit, Desire and the Novel -1961). Humans make up many tricks to fool ourselves into thinking that we only desire the object in a simple manner. Mimetic rivalry is contiguous, so it leads to violence. 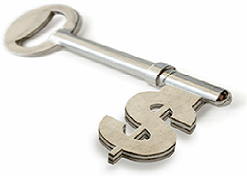 At the end the object is forgotten or used as an excuse to fight our newly created enemies. In Things Hidden Since the Foundation of the World (1978) he expanded the idea of the scapegoat mechanism. When rivalry threatens the existence of the community itself, a common solution is to project all the communal violence upon a single individual to restore the peace. His interesting theories are finally starting to be considered in many circles from psychology to economics.